The organizers of Game Developers Conference Online 2011 are reminding that the event is accepting submissions through midnight PT on Thursday, May 5th to present lectures, roundtables, and panel sessions at GDC Online 2011. The Austin, Texas-based conference and expo to be held this October - the leading worldwide event for social and online game developers - focuses on social network titles, free-to-play web games, kid-friendly online titles, large-scale MMOs, and all types of connected and cloud-centric games. Main Conference submissions should address the most pressing development challenges for online and connected games, targeting the following tracks: Business and Marketing, Design, Production, Programming, and the new Customer Experience track. Evolving from last year's Live track, GDC Online's notable new Customer Experience track will feature successful strategies to attract, retain and effectively monetize players. Industry experts are encouraged to submit a proposal in areas such as increasing player satisfaction and engagement through metrics-driven post-launch development, design patterns for expansion content, building and managing communities and more. GDC Online 2011 show management is also requesting submissions for its standalone summits, which this year include the Game Narrative Summit, the Smartphone & Tablet Games Summit and the GDC Virtual Items Summit. GDC Europe organizers have announced new lectures for the August show, including BioWare on Mass Effect 3's creatures, IMVU on "continuous deployment", and Slant Six (Resident Evil: Operation Raccoon City) on production pipelines. Taking place Monday through Wednesday, August 15-17, 2011 at the Cologne Congress-Centrum Ost, GDC Europe 2011 -- alongside the major gamescom trade show -- will again provide the essential pan-European perspective of game development and business trends. Why, if you've just released a game that got a 96 score on Metacritic, would you completely change the process used to develop all of the creatures of the game? Answering this question, Scylla Costa and Brenon Holmes of BioWare will present a Production track talk "From Boxes to Life! How to Prototype and Develop Creatures: Mass Effect 2 and 3 Case Study". Elsewhere, GDC Europe attendees will learn how releasing updates to customers 20+ times per day is possible in the Programming track talk "Using Continuous Deployment to Move Fast and Release without Pain". Jason Scott, GDC Historian here. I'm here to talk about the future. I'm here to talk, in other words, about the Betamax format. For people of a certain age, Betamax is kind of a joke. For others who are younger, it's barely a word, something you might have heard in passing in an unrelated discussion about video. But what it is, in fact, is a video format that never quite died, and which still sees some amount of activity in the present day. Sony instead tweaked it: the professional reworking of that consumer-grade video technology into Betacam meant that it had a lot of use in the professional sector going forward. Granted, that activity has decreased intensely with the advent of digital recording and high-definition requirements, but you can be assured that there are more Betamax players and recorders out there than the initial guess of "zero". One of them, I am happy to say, is in my house. GDC Europe organizers have announced first lectures for the show, including Splash Damage on Brink's design, Blue Fang (Oregon Trail) on its move to social, and Crytek on Crysis 2's multiplayer. Taking place Monday through Wednesday, August 15-17, 2011 at the Cologne Congress-Centrum Ost, GDC Europe 2011 -- taking place alongside the major gamescom trade show -- will again provide the essential pan-European perspective of game development and business trends. As part of the first announced Main Conference sessions, attendees can learn how to preserve ambitious design goals through managing practical implementation solutions in the game design track session "You Say You Want a Shooter R(evolution)". In the talk, British studio Splash Damage's Neil Alphonso will discuss how his team tackled these design challenges during the development of much-awaited shooter Brink (pictured). With Blue Fang Games (Zoo Tycoon, The Oregon Trail) as the case study, discover what it takes to transition from the traditional games space into the social realm in Hank Howie's business track talk "From Console to Facebook: Blue Fang Games and the Big Pivot". 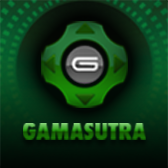 Finally, two studios and over 100 programmers contributed to the development of the multiplayer component of Crysis 2. Crytek's Peter Hall will speak in depth about the development process, and how to manage challenges that arise with working with large programming teams in his programming track session "Crysis 2 Multiplayer: A Programmer's Postmortem." The GDC Vault service has debuted free video talks from Game Developers Conference 2011's Summits, including Jane McGonigal on "no stinkin' badges", Monaco's Andy Schatz on winning the IGF, and Playdom's Scott Jon Siegel on making City Of Wonder. These talks add to acclaimed lectures from Frank Lantz and Charlie Cleveland, as well as the much-watched classic game postmortem series as part of GDC 2011's 'free recordings' section. In the first newly available GDC Vault video, Social Chocolate's Jane McGonigal presents a Serious Games Summit keynote named 'We Don't Need No Stinkin' Badges: How to Re-invent Reality Without Gamification'. The talk from the ARG designer and author of 'Reality Is Broken' suggests: "Plenty of game developers think gamification sounds cynical and opportunistic -- a way to motivate gamers to do something they' ordinarily avoid... What we need now is a more holistic and whole-hearted approach to using game design to transform reality." Another highly rated talk being made available for free in video form on GDC Vault is 'How to Win the IGF in 15 Weeks or Less', Andy Schatz's heartfelt explanation of how he entered heist game Monaco into the 2010 Independent Games Festival after just 6 weeks of one-person work -- and unexpectedly came out with the Grand Prize. Using his Facebook status updates and explaining his state of mind, longtime indie Schatz explains "how design-by-brownian-motion can not only lead to a better finished product, but a faster schedule as well," with a spontaneous playtest of his acclaimed title jammed into the end of his Independent Games Summit lecture. The organizers of this August's Game Developers Conference Europe 2011 have revealed the notable line-up for the brand-new Summit advisory boards, as well as an addition to the main GDC Europe board. The industry luminaries joining the advisory boards represent companies including Playfish, Sony Online Entertainment, THQ, Copenhagen Game Collective, DDM and more, and will be responsible for helping craft the content of the event, which now includes four major Summits and five Main Conference Tracks. - Johan Sjoberg, the Swedish-based lead agent at game representation agency DDM, is joining GDC Europe's main advisory board. Sjoberg works closely with the agency's game developer clients -- including firms like Ninja Theory and Vatra Games -- on business development and corporate strategy, and his connections within the European game industry should prove invaluable to the event. - The inaugural Social Games Summit has announced board members from the forefront of the European social games scene. These include UK-based Playfish/Electronic Arts VP and co-founder Kristian Segerstrale, as well as the Finnish founder of Rocket Pack, Jiri Kupiainen - whose social game company was recently acquired by Disney. Exit's Jetro Lauha - the Finnish firm's Zen Bound 2 and Stair Dismount have seen multiple millions of downloads. Jason Scott, GDC Historian and Archivist here. Great news for you, if you've been hearing a lot about this "GDC" thing and want to know what you're missing. Game Developers Conference has not just been freeing up older, classic talks like the ones I've been digitizing from over a decade ago - they've also released a variety of just-recorded talks from recent GDCs. All of these are recorded using the digitally speaking mechanism, where you can watch the speaker and slides, just the slides, just the audience, or whatever works for you. There's a growing pile of these present-day presentations that you'll get your hands on, and I'll be pointing out some of the ones that really grabbed me, looking over them. So here's a great talk to check out from this just-past GDC, one of the more surreal and meta-referential talks that was on the lineup: "Making a Mockery: Ruminations on Cow Clicker" by Ian Bogost, originally given at GDC Online 2010 in Austin in October 2010. UBM TechWeb Game Network, organizer of Game Developers Conference Online 2011, has announced its Main Conference track line-up and new Summits for the October show, the leading worldwide event discussing the business and art of online games. Following a successful call for August's GDC Europe, with more than 200 submissions, organizers are now accepting submissions through midnight PT on Thursday, May 5th to present lectures, roundtables, and panel sessions at GDC Online 2011. The Austin, Texas-based show to be held this Fall focuses on social network titles, free-to-play web games, kid-friendly online titles, large-scale MMOs, and all types of connected games. 'Tales from the GDC Vault': It's GDC Vault Madness! Jason Scott, GDC historian and archivist here. I'm still around! After the end of my historically-themed work for 'GDC 25', it was not 100% clear that GDC would want to continue the process of rescuing/archiving their own past for presentation on the Vault. Well, the word came down and here I am. So let's dive back in. 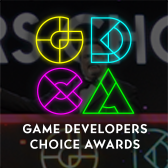 I'm really glad they made this choice, because a service like the GDC Vault holds a lot of value, whether for game scholars studying trends and events in the industry, or to give newer developers insight into what practices have been in place and maybe even why those practices came about. To that end, I hope to turn this room of videotape, audiotape and artifacts into a nicely boxed, digitized pile that you can enjoy - most of which will be made available in the free section of GDC Vault. One part of being the GDC historian is you get to go to GDC. I had a great time, took a lot of photos, and talked to a good number of people. And I got to attend the newest crop of presentations, instead of hearing them off audio and videotape. Like a certain percentage of GDC attendees, I was really impressed and looking forward to the Classic Postmortems... but I was also keeping my expectations tempered. After all, in some cases the developers were being asked to hearken 10 to 20 years ago, and talk about events that might have fallen by the wayside in terms of memory. I figured most might go in somewhat nostalgic directions, glossing over harshness or not giving much larger context, in favor of reminiscing about the whole project as being worth all the now-forgotten trouble. I had little to worry about. The postmortems were amazing. Let me highlight a couple you should check out if you haven't already. Mark Cerny, who has had a long career in video games with companies including Crystal Dynamics, Sega, Insomniac, Sony, and Naughty Dog, got his big break working for Atari back in 1982. From this early time came a very unique, very visually arresting game called Marble Madness. For his classic postmortem, Cerny breaks down the choices and process that lead to Marble Madness, and then what work went into the design/hardware of the game itself. Gamasutra covered this nicely, but I want to additionally point out how effectively Cerny gives a feeling for working at Atari at the time. In particular, he covers the time and iteration issues that hardware/software developers within the company had to deal with, and the amount of design work that was changed or thrown out along the way. His notes and early drawings from that time are excellent, and he shows what decisions he made and why. Organizers of GDC Europe 2011 are issuing a final reminder on the call for submissions for the Main Conference and new focused Summits for this August's conference in Cologne, Germany. The GDC Vault service has debuted more free video talks from the 25th Game Developers Conference in San Francisco, including Frank Lantz evocatively exploring poker and Go, and Natural Selection's Charlie Cleveland on 'The 1-Hour Video Game MBA'. Adding to the classic game postmortem series and sponsored video lectures available in GDC 2011's 'free recordings' section, the two new lectures are part of regular free video updates from all GDC shows this year. Firstly, in an acclaimed talk from Area/Code co-founder Frank Lantz (pictured), 'Life and Death and Middle Pair: Go, Poker and the Sublime', now available for free on GDC Vault, the veteran game designer and educator presents why "Go and Poker are epic, world-changing games, they have spanned generations, and absorbed entire lifetimes of passionate study and play." As Lantz's description for his inspirational lecture explains: "This talk will seek to understand how a handful of black and white stones and a deck of cards can demonstrate the immense scope and sublime power of games." Secondly, Unknown Worlds Entertainment founder Charlie Cleveland (Natural Selection 2) presented 'The One-Hour Video Game MBA' at GDC 25, another well-received lecture described as a swift, focused business lesson for game creators. The GDC Vault service has debuted both free and subscriber-only video, audio and slides from the 25th Game Developers Conference in San Francisco, including free Doom, Populous and Out Of This/Another World postmortem videos. Following the conclusion of the record 19,000-person game creation conference, the classic game postmortem series is now available in GDC 2011's 'free recordings' section, alongside free sponsored video lectures and slides. Some of the many highlights of the hour-long set of 11 postmortem lectures by seminal game industry figures include Eric Chahi's standing-ovation talk on the making of Out Of This World/Another World, as well as John Romero and Tom Hall on the creation of id Software's Doom and Will Wright discussing the crafting of Raid On Bungeling Bay, whose editor inspired his work on SimCity. With Ron Gilbert talking Maniac Mansion, Peter Molyneux examining the making of Populous, and Toru Iwatani on the creation of Pac-Man (pictured) - with English and Japanese audio versions - the postmortems are rounded out by other free videos on the making of Elite, Marble Madness, Bejeweled, Pitfall! and Prince Of Persia by their renowned creators. Also now available is free video of Satoru Iwata's GDC 2011 keynote, named 'Video Games Turn 25: A Historical Perspective and Vision For The Future', as well as nearly 30 specially video-recorded sponsor videos from major companies like Google, PayPal, Intel, Nvidia, Digital River and more. These free video talks, which include high-quality panels about monetization, rendering, 3D stereoscopy and other subjects, are all freely available after filling in a brief registration form. GDC organizers have also made available over 150 slides from GDC 2011 presenters, including many of the biggest talks. Organizers of GDC Europe 2011 have revealed a host of focused Summits for this year's show, also announcing the call for submissions for this August's conference in Cologne, Germany. Taking place Monday through Wednesday, August 15-17, 2011 at the Cologne Congress-Centrum Ost, GDC Europe 2011 will again provide the essential pan-European perspective of game development and business trends happening throughout the continent today. Now it in its third iteration and taking place alongside the European-leading Gamescom trade fair, GDC Europe will continue to serve the European game industry by gathering the world's leading speakers in areas specific to current game development across platforms and development disciplines. The call for submissions for lectures will include main conference tracks in Business & Marketing, Game Design, Production, Programming, and Visual Arts. Organizers are looking for leading practitioners to propose lectures and panels with major practical takeaways for today's video game market. In addition, GDC Europe 2011 plans to expand the breadth of its conference by offering four Summits to be held concurrently with the main conference. Reflective of the growing development and activity within the continent, GDC Europe will introduce the Social Games Summit, Smartphone & Tablet Games Summit, Independent Games Summit, and Community Management Summit to its roster this year. Organizers of the Game Developers Conference, the world's largest and longest running event serving professionals dedicated to the art and science of making games, hosted a record 19,000 game industry professionals attending San Francisco's Moscone Convention Center for the 25th edition of the conference. GDC 2011 also played host to the 13th Annual Independent Games Festival and the 11th Annual Game Developers Choice Awards. 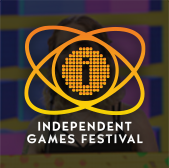 Swedish independent developer Mojang's acclaimed 3D world-building sandbox title, Minecraft, won the Seumas McNally Grand Prize and Audience Award during the IGF, as well as three awards at the GDCAs, becoming the first title ever to win awards in both ceremonies in the same year.